Anyone who has lived in Hawai’i knows that this time of year means graduation leis. Lately I’ve been making graduation leis and my sweet dog, Lila, has been sitting at my feet for hours keeping me company. Having her with me while I was making leis started me thinking about making a DIY dog treat lei to give to our neighbor’s dog that is graduating from obedience school soon. You could make the lei for the owner to wear or sized for the dog to wear. Even better, you could make one for both the owner and the graduating dog. I grew up in Hawai’i where you give family and friends leis for graduation. There are flower leis, candy leis, crocheted leis, bead leis, ribbon leis and even money leis. 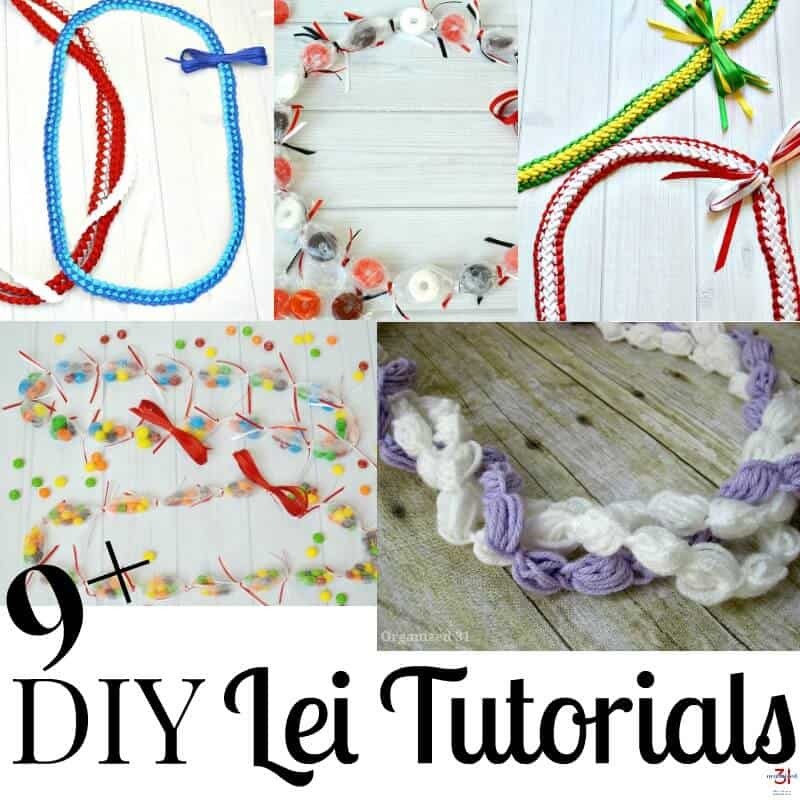 While making candy leis for my niece, I realized that it would be easy to use the same technique to make a dog treat lei. 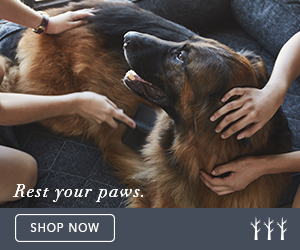 Dog Treats – I like the Pedigree Dentastix® in the Toy/Small size. 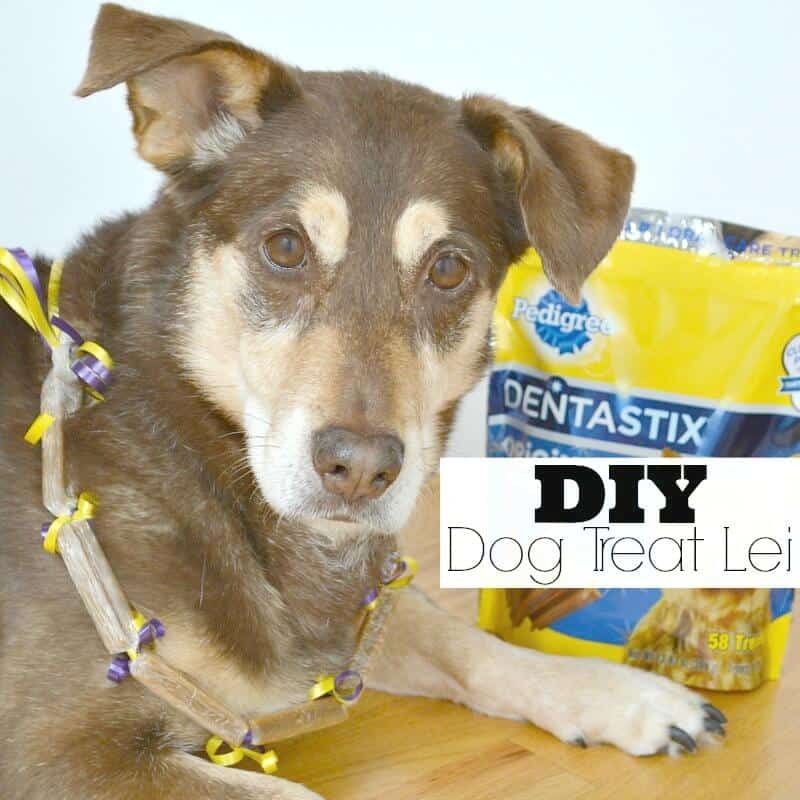 The Dentastix are easy to use in making the lei and the smaller sized treats make a more flexible and comfortable lei. You can also download the Blippar app from the Apple or Android store to scan your package and receive exclusive content. 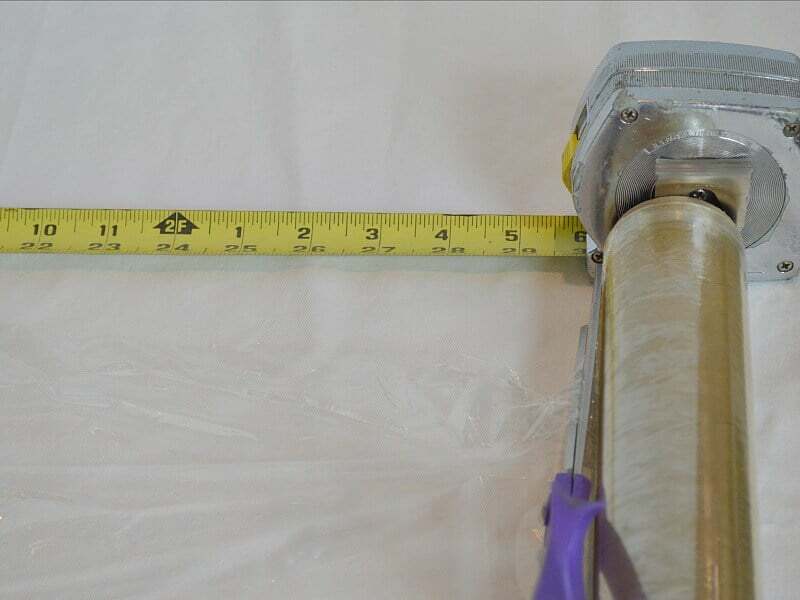 Cut the plastic wrap about 2 1/2 feet long for a medium-sized dog and about 3 1/2 feet to 4 feet long for the owner. 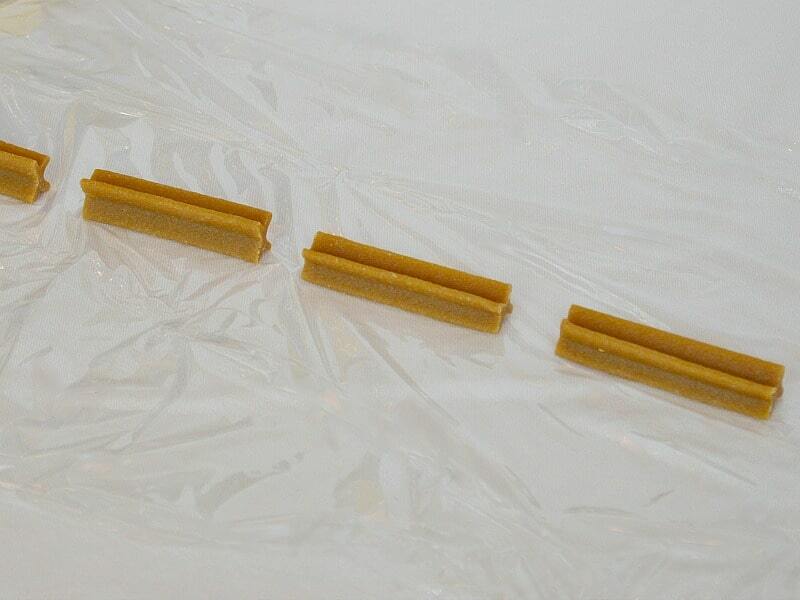 Place the dog treats along the center of the plastic wrap with a small space (about 1/2 inch) to allow for tying the ribbon. 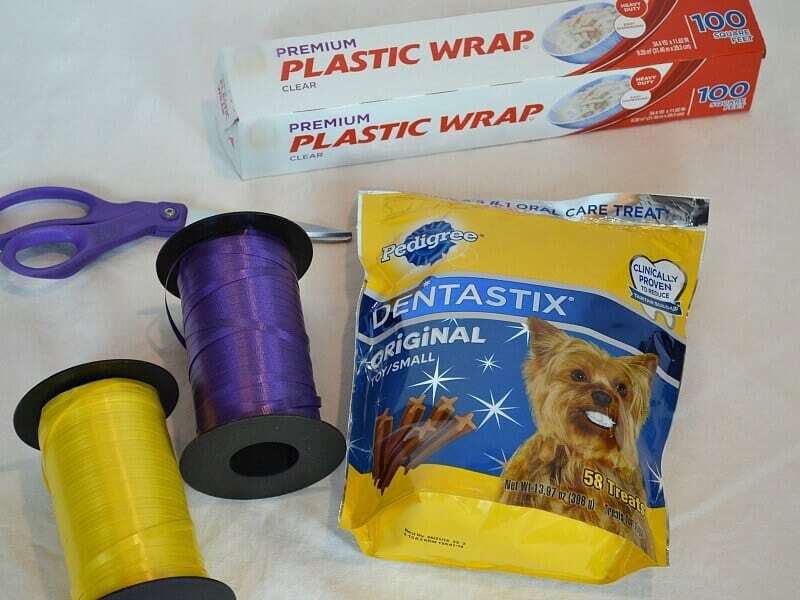 Fold one side of the plastic wrap over and then roll the row of dog treats until the plastic wrap makes a tube around the treats. Cut curling ribbon about 5 – 6 inches long. 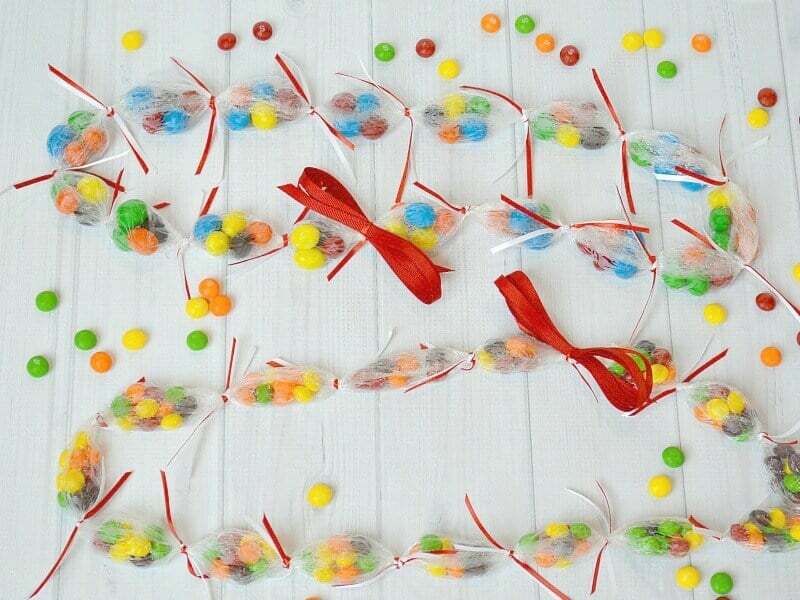 Tie the ribbon into the space between each treat starting at the center and working towards both ends of the lei. Overlap the two ends of the lei and tie them together. 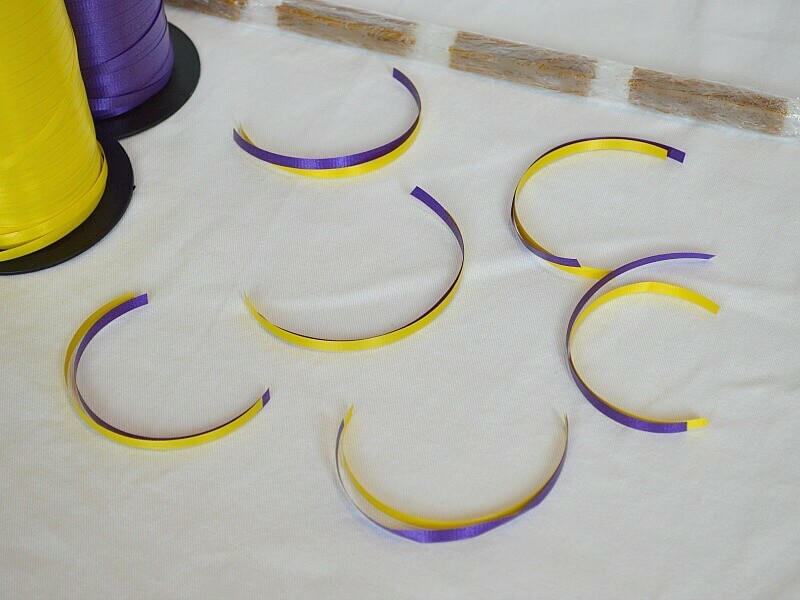 Curl the ends of the ribbons. 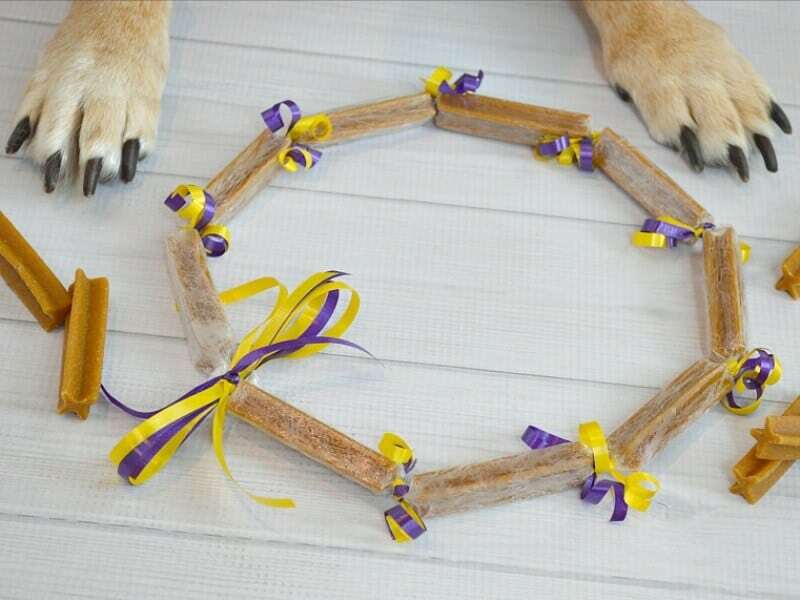 Add a bow where you joined the two ends of the lei to help disguise the joining and to make your dog treat lei even prettier. You may have to experiment with the length of your dog treat lei depending on the size and build of your dog. 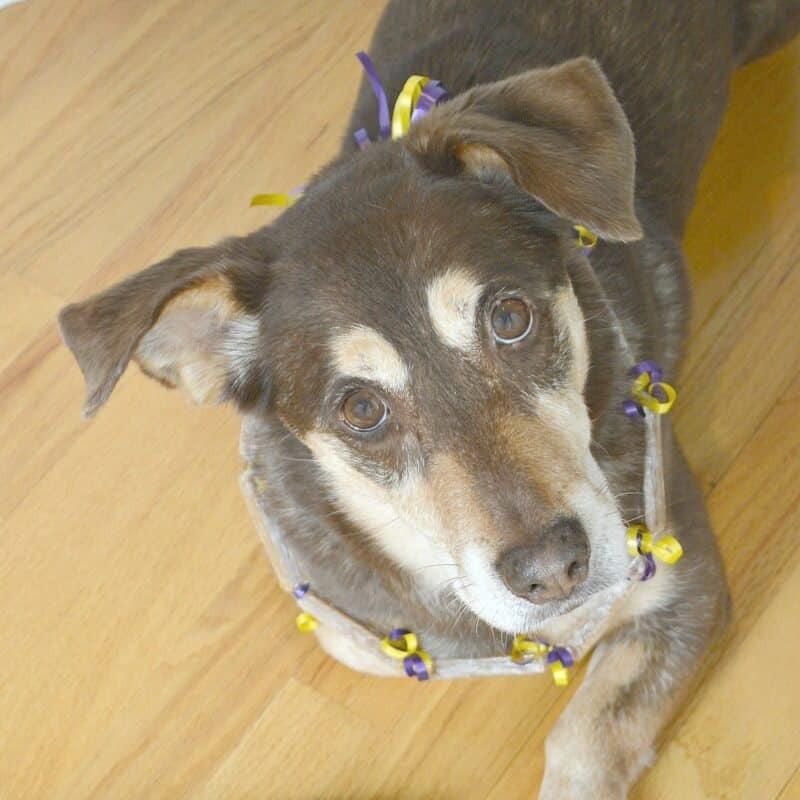 You want to make the lei longer than a collar but short enough that the dog won’t trip over it. 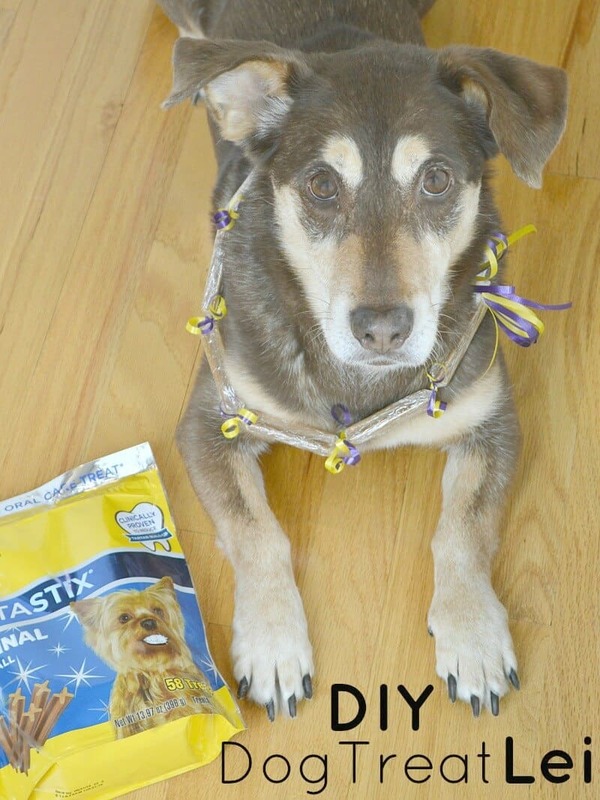 This DIY dog treat lei is easy enough to make that you could have younger kiddos help and older kiddos could make it on their own. 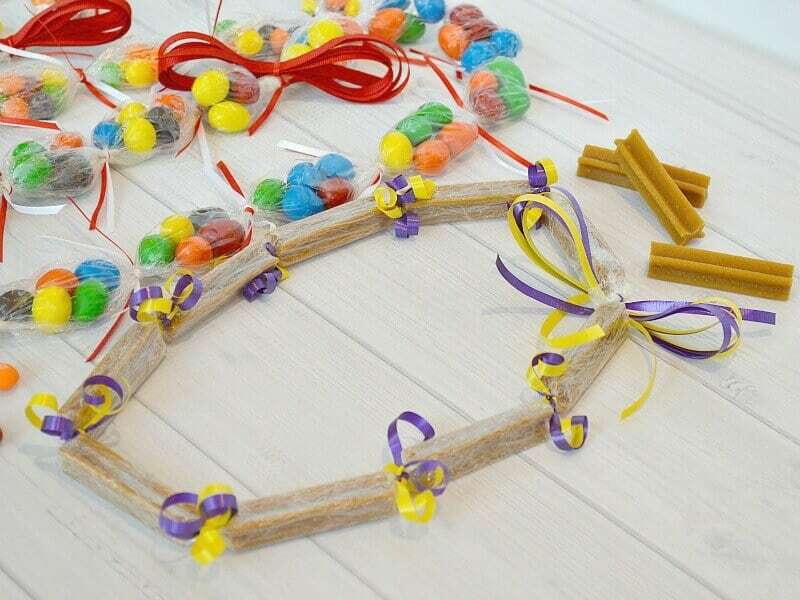 Making both candy leis and dog treat leis is a fun afternoon craft project. To make candy leis I knew that I’d be purchasing M&M’s® Plain and M&M’s® Peanut in the 42 ounce bags (because my side of the family absolutely adores M&M’s), Life Savers® Hard Candy (because they some in such bright festive colors for lei making) and Skittles® (because my kids just plain love them). I knew I could get all the candy, dog treats and lei making supplies I needed in one place at Walmart. I found the Pedigree Dentastix on the Pet Care aisle with the dog treats. 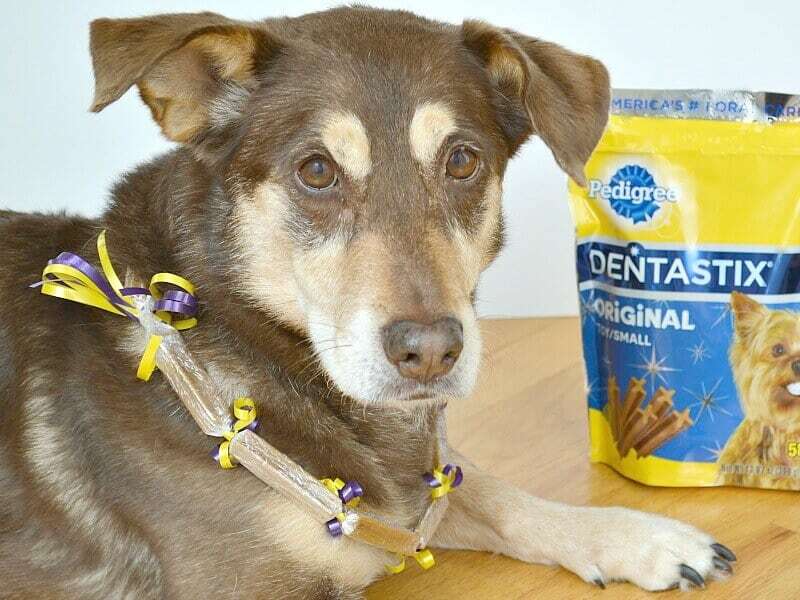 I may have to make another DIY dog treat lei for my own sweet dog since she’s my faithful lei making buddy (and because she loves these Pedigree Dentasix treats). 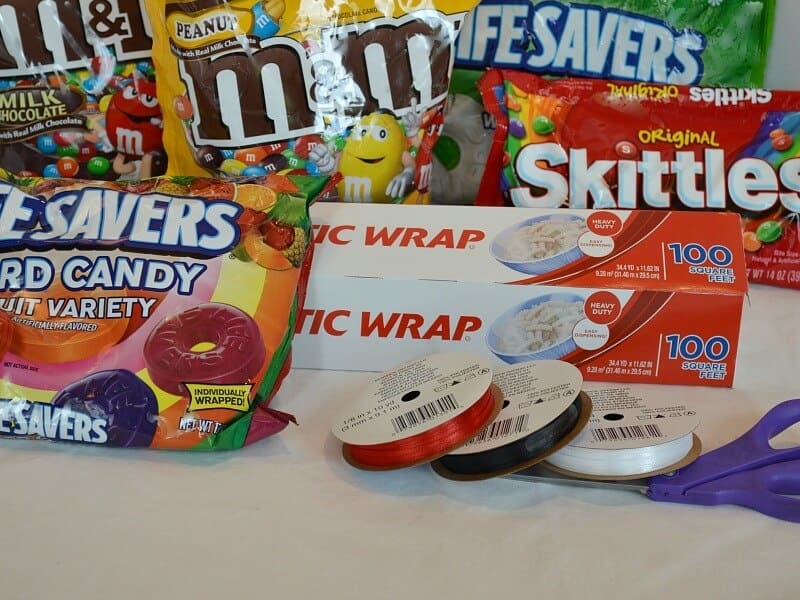 Who do you know that would appreciate a candy or dog treat lei?Lucky you can click here to receive instant savings on M&M’s®, SNICKERS® Ice Cream Bars, Dr Pepper® Cherry, Skittles®, Pedigree Dentastix®!